The lore in Overwatch can be difficult to access at times, but it’s there. To make a long story short, the eponymous Overwatch was an elite team, consisting of people from all over the world who excelled in their respective fields. This team was built in response to the Omnic crisis, which was essentially a robot revolution against humanity. Eventually, humanity triumphed, but the rift between Overwatch and its covert ops division, Blackwatch—as well as the formation of the criminal organization Talon—highlighted that the Omnic crisis wasn’t humanity’s only problem. Overwatch Character Lore looks into the lore behind the characters, arranged in alphabetical order, detailing their backgrounds, relationships. and ambitions. It will draw from the game, the comics, and the short films published by Blizzard Entertainment on YouTube. 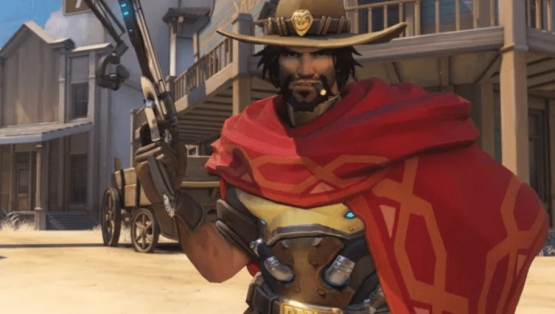 Overwatch Character Lore: Volume 2 looks at nine more characters, McCree through Roadhog, and the full series will include all characters added to the game through September 2018. You can also read Volume 1, which includes Ana through Lucio. “The Outlaw,” Jesse McCree, has a complicated past. McCree spent years of his life with the notorious Deadlock Gang, a group of arms dealers who had their headquarters at Route 66. After the Deadlock Gang were bested by a Blackwatch squad led by Gabriel Reyes, Reyes saw that McCree wasn’t too far gone. Recognizing his potential, Reyes gave him an ultimatum: Join Blackwatch, or rot in jail. McCree, an opportunist, opted to take the former option, and became a revered member of the Blackwatch squad. However, he openly disagreed with Gabriel Reyes’ decision to kill Antonio Bartalotti. After Blackwatch came into conflict with Overwatch, McCree neglected to choose a side, instead deciding to walk away. Now a free man, McCree is on the same side as the good guys (as seen by his location marker in the short film, Recall). However, until he knows who the good guys are, McCree walks alone. Dr. Mei-Ling Zhou is a brilliant environmental scientist, who specializes in studying the effects that abnormal climate phenomena have on ecosystems around the world. She was assigned to Watchpoint: Antarctica by Overwatch in order to study the adverse effects of an abnormality which had been traced to that region. After a devastating polar storm hit the base, Mei and her team entered cryostasis. Nine years later, Mei left her pod, and went about her daily routine. 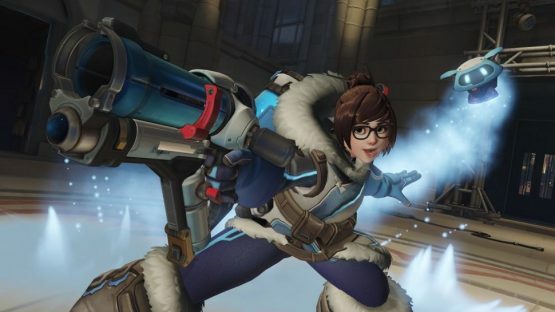 Tragically, Mei soon discovered that she was the only scientist who had survived in cryostasis, as all of the other pods had malfunctioned. She also received an outdated communication that Overwatch was no more. Despite being all alone in the most remote area on the planet (aside from Snowball, the base’s beloved droid), Mei’s unwavering optimism shone through, and she decided to resume her work on making the planet a better place for future generations. Mei then built her famous endothermic blaster, for which Snowball sacrificed his own power after the base’s power died. She fixed the base’s radio tower, and replied to Winston’s recall. Setting out into the vast Antarctic landscape, Mei began to make her way back to the populated world. Luckily, thanks to a solar panel Mei grabbed on her way out, Snowball’s battery recharged, and Mei had a friend to travel with. Mercy, a.k.a. Dr. Angela Ziegler, in renowned worldwide as one of the greatest medical scientists alive. Hailing from Switzerland, she is a family friend of her Swedish neighbors, the Lindholms; however, Mercy once came into conflict with Torbjorn after he weaponized technology based on her medical research. Mercy eventually joined Overwatch, but she maintained strict anti-war views. She joined Overwatch purely to save lives, not to end them, even inventing the Valkyrie suit, which enabled medics to treat injured people on the front lines. After the disbanding of Overwatch, Mercy continued to treat the wounded all over the world. and can be seen in the Middle East on Winston’s Map in Recall. She acknowledged that the Reyes and Morrison had been at odds ever since Morrison had been given the job to lead Overwatch, and Reyes had been demoted to lead Blackwatch. Their fallout was inevitable, and, in her eyes, maybe Overwatch should remain disbanded indefinitely. Moira O’Deorain is a brilliant Irish scientist who specializes in genetic engineering. Her abilities in-game—Fade, Biotic Orb, and Biotic Grasp—are all the result of her ability to manipulate her own genetic structure at will. Moira claims to work for the good of humanity, but engages in morally questionable activities to further this pursuit. After her work was condemned by the scientific community, and even Overwatch, Gabriel Reyes offered Moira a position on the Blackwatch team, on the condition that her employment remained a secret. It was Moira who gave Reyes the ability to cause his cells to decay and regenerate at will, which he would later use to his benefit when he became Reaper. 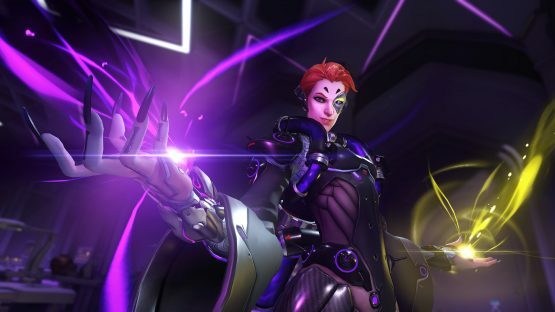 Although Moira became the Minister of Genetics in the city of Oasis after the revelation and subsequent disbanding of Blackwatch, there are rumors that she has a seat on Talon’s inner council. This makes sense, given her disposition towards bettering humanity at any cost. Orisa is a robot who was created by child prodigy Efi Aladele. When Efi was only eleven years old, she bought the a dismantled OR15 model that had been destroyed during Doomfist’s attack on Numbani. She dismantled the model, using the parts to construct a new-and-improved defender of Numbani in the form of Orisa. 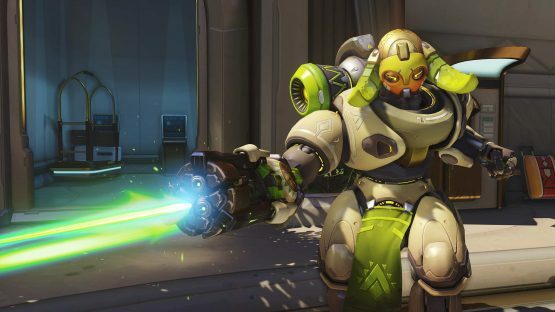 Orisa was created with a form of adaptive artificial intelligence, meaning that she has morals and a personality (she’s even a pretty big fan of Lúcio!) However, she is only a month old, and has a lot to learn about the world surrounding her. Fareeha Amari is the daughter of Captain Ana Amari. Having wanted to join Overwatch from a young age, she was heartbroken when her mother disapproved of her desire to do so. Still wanting to serve justice and protect the innocent, Pharah joined the Egyptian army, rapidly ascending through the ranks. However, before her stellar record got her a position at Overwatch, Overwatch was disbanded, leaving Pharah heartbroken. 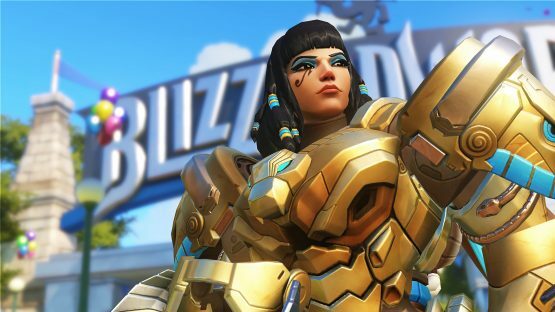 Pharah left the Egyptian army, opting to join Helix Security International, where she became a lieutenant and donned her infamous Raptora Mark VI suit. During a mission at the Temple of Anubis, Khalil, her captain, was killed. As per the chain of commanded, Pharah became her squad’s captain, and led a successful operation to neutralize the area’s hostile AI. When her mother was reported to have been killed-in-action, Pharah got the Eye of Horus tattooed, in order to honor her mother’s memory. During the mission at Anubis, she reflected on the meaning of this tattoo; although she thought it was a sign of being protected before, she now knew that it was a mark worn by protectors. 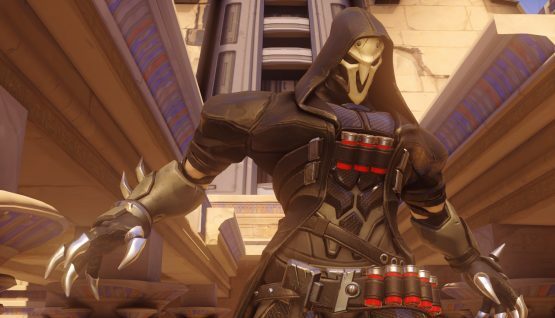 Reaper, formerly known as Gabriel Reyes, was the leader of the original Overwatch squad. Known as Soldier: 24, he received similar cybernetic enhancements to Soldier: 76. Although he was successful in his leadership of Overwatch, he was eventually superseded by Strike Commander Jack Morrison. Reyes was then given the task of leading Overwatch’s covert ops division, Blackwatch. A rift formed between the two former friends, widening at a steady rate over the years. Reyes became more and more reckless during his missions with Blackwatch, eventually shooting the Italian businessman Antonio Bartalotti through a window at Rialto. Although Moira and Genji agreed with his decision, McCree did not. This decision revealed their presence to the Talon operatives guarding Bartalotti’s house, and the crossfire that ensued revealed the existence of Blackwatch to the world. This kick-started Overwatch’s downward spiral to disbandment, and led to the infamous fallout of Reyes and Morrison. Reyes led a rebellion against Morrison, triggering a blast at Overwatch’s Swiss headquarters. Believed to be dead, Reyes terrorized the world, now using the alias, “Reaper.” Thanks to Moira’s experiments on him, Reaper has the ability to manipulate the cells in his body, allowing them to decay and regenerate at will. He can traverse any space, and even assume a sort of invincibility. It was because of this fact that he managed to survive the blast at Swiss HQ. Although his personal agenda is mostly unknown, the one thing that’s certain is that he knows Morrison survived, and he will stop at nothing to find him. Along the way, he has eliminated several former Overwatch agents, and continues to do so systematically. In an effort to gain a list of more classified agents, Reaper, now working with Talon, attacked Watchpoint: Gibraltar. Winston, ever-loyal to Overwatch’c cause, was the defender of this Watchpoint, and although he was nearly bested by Reaper, he prevailed. Despite Winston having technically “killed” Reaper with his Tesla Cannon, a black mist floated out of the facility, leading one to believe that Reaper maintained autonomy over his decayed cells, which, thanks to Moira’s experimentation, would soon regenerate. Winston, with the help of Tracer, thwarted Reaper again at Numbani. This time, Reaper had teamed up with Widowmaker in order to recover Doomfist’s Gauntlet. Winston, unleashing his Primal Rage, pushed the two back, successfully rendering their mission a failure. Eventually, an associate of Reaper received intel as to the whereabouts of Jack Morrison, now operating as a lone vigilante under the alias of “Soldier: 76.” In Egypt, Reaper shot Morrison in the back, but was thwarted by none other than Ana Amari. Ana healed Soldier: 76 with her specialized biotic rifle. Reaper and Morrison engaged in a vicious fist-fight, and Reaper prevailed yet again. Ana intervened, eventually managing to tear off Reaper’s mask, revealing his identity. Stunned, Ana fell backwards in disbelief. Reaper stated that she shouldn’t be surprised—Overwatch had left him to die, and for this, he would never forgive them. Using his wraith form, he left the scene, leaving a reunited Ana and Morrison to discuss what had just happened. Reaper led an infiltration of Volskaya Industries under the orders of Vialli, who was his acting superior while Doomfist was in prison. Although Reaper managed to gain access to the facility, Sombra had purposely left the alarms unhacked, as she had her own agenda. Widowmaker missed her shot on the target, and Reaper had to fight his way out, all while Sombra was negotiating with the target her team had been sent to assassinate. Always alert, Reaper became suspicious of Sombra the moment the alarm sounded. Sombra’s report that Volskaya had managed to escape made him even more sceptical, and, knowing Reaper, Sombra should tread carefully. Soon after this mission, Reaper helped to break Doomfist out of a maximum security Helix prison. Reaper’s views were in closer alignment to Dooomfist’s than Vialli’s, and after Vialli’s men tried to assassinate Doomfist at a ball, Reaper would go on to support Doomfist in his usurping of Vialli. Granted a position on Talon’s inner council, Reaper was present when Doomfist announced his plans for Talon under his leadership. During the Omnic crisis, Reinhardt Wilhelm was a respected member of Germany’s Crusaders under the leadership of Balderich von Adler. Before the battle at Eichenwalde which resulted in von Adler’s death, von Adler had been selected to join Overwatch. Reinhardt, when told of this, laughed it off, suggesting that there was nothing better than serving honor and glory as a Crusader. After Eichenwalde came under attack, von Adler was forced to give his life to save Reinhardt. Reinhardt had recklessly engaged a then-unknown OR14 unit, and likely would have perished if his Commander had not intervened. The two retreated to Eichenwalde’s castle with their unit, but Reinhardt did not yet realize how serious von Adler’s wunds were. Von Adler ordered Reinhardt to be his unit’s shield, and, despite many protests, Reinhardt accepted that the Crusader’s oath demanded that he do so. Taking each other’s hands one last time, von Adler placed his Overwatch medal in Reinhardt’s hand, communicating that his dying wish was for Reinhardt to join Overwatch in his stead. Reinhardt’s shield broke, so he decided to shield his unit with his body instead. Still, he was the only Crusader to survive the onslaught. 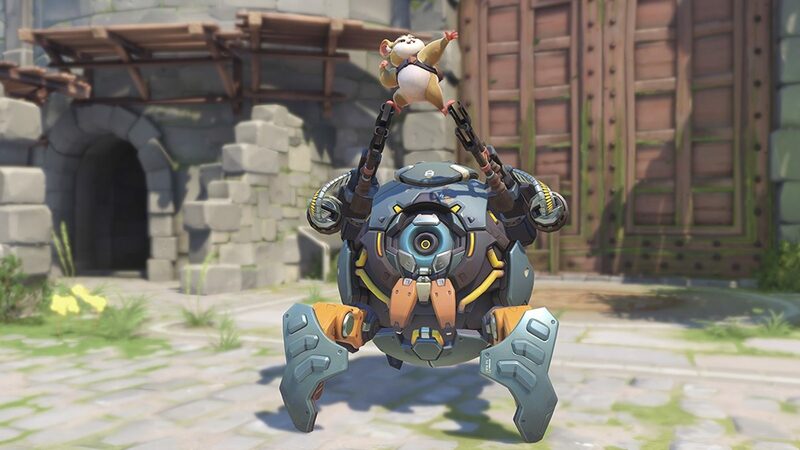 He decided to honor his mentor’s wish, and went on to join Overwatch. Reinhardt was inducted into the original Overwatch squad, and served until he faced mandatory retirement in his fifties. Eventually, after being a the fan-favorite for years, as well as being hugely respected by his fellow heroes, he was, according to Torbjorn, “pushed out.” His adherence to the Crusader values of honor, glory, and justice for all had helped Overwatch immeasurably during his years of service, and after he was pushed out, he had to watch Overwatch face its downfall from the sidelines. He was even awarded a medal for conspicuous bravery for saving Torbjorn’s life in Istanbul. Torbjorn lost his arm during that mission, but, if nor for Reinhardt, could have lot his life, too. 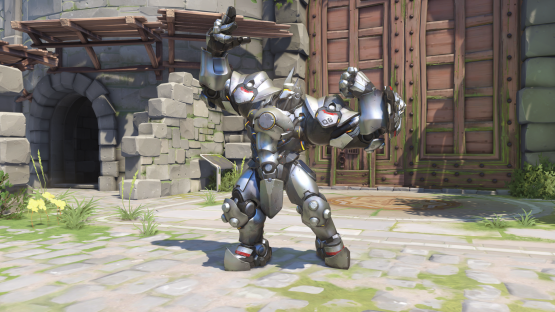 Reinhardt was given the honor of naming Torbjorn’s daughter, and his goddaughter—Brigitte. Eventually, tired of having to watch innocents all over the world face injustice, Reinhardt decided to pursue honor and glory once more. With Brigitte at his side, he donned his Crusader armor once more, travelling all across Europe to fight back injustice wherever he encountered it. Overwatch may have made him retire, but they could not quell his warrior spirit. When Winston issued the official recall of all former Overwatch agents, Reinhardt visited his former mentor, Balderich von Adler, in Eichenwalde castle. He declared to Brigitte that he had been called on, and he must always answer. Being forced into retirement had not shaken his honor, and he would earn glory at least once more. Mako Rutledge is an Australian Junker, just like Jamison Fawkes. Standing at over seven feet tall and wearing a gas mask to protect him from the irradiated Outback wasteland, Roadhog is about as fearsome as they come. Roadhog actually took part in the attack on the omnium in the Outback, leading to the explosion which devastated the surrounding area. Forced to learn how to adapt, Roadhog became ruthless, taking up residence on the outskirts of Junkertown amidst Australia’s most wanted. In Junkertown one day, he decided to become Junkrat’s bodyguard in exchange for half of his treasure. 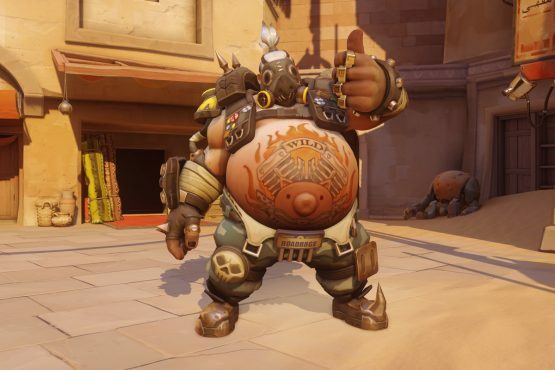 From here until the present day, Roadhog’s story aligns perfectly with what has already been mentioned under Junkrat in Volume 1. All lore was collected by the writer of this article, and fact-checked against the official Overwatch wiki.